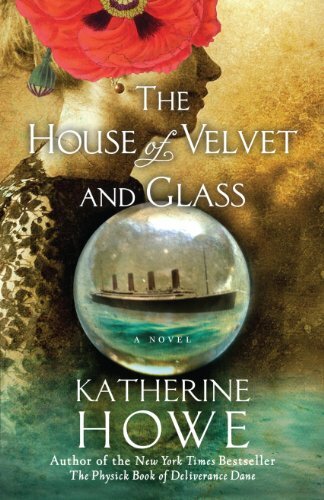 Reasons for Reading: Feel free to click onto this link TBRs – Katherine Howe’s The House of Velvet and Glass. Unfortunately, I was reading this book when my Nook went on the fritz. It was a huge relief to me when I found the large print version of this novel at the library branch. Thus, I was able to quickly finish this book. Summary: It’s 1915, three years after losing her mother and sister (Helen and Eulah) on that fateful voyage of the HMS Titanic, Sibyl Allston suffers in near silence as she runs the Boston household of her laconic, shipping magnate Lan Allston. She seeks solace in her late mother’s medium. When her brother, Harlan, gets kicked out of Harvard and his involvement with an odd woman seems the cause, old flame Professor Benton Derby reaches out to Sibyl. With Benton, Sibyl embarks on an odd journey of discovery of Boston’s Chinatown and its opium dens. Sibyl’s 1915 point of view is mingled with those of Helen and Eulah’s 1912 and Lannie’s 1867. I won’t say anymore about Lannie. One Thing I Learned from reading Katherine Howe’s The House of Velvet and Glass: I knew of the Widener Library at Harvard but I didn’t know the story behind it. For more info, visit History – Widener Library – Harvard College Library. 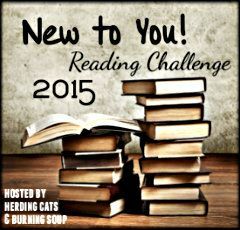 What I Liked: The characters were well conceived – particularly Sibyl, Eulah, and Lan. The settings appeared well-researched and recreated. Howe’s descriptive writing paints the picture without being gratuitous. I appreciated the integration of real-life people such as Harry Widener and Edwin Friend. By the end of the novel, I truly appreciated Lan’s love for and devotion to his family. Howe’s afterward was great and she made significant points in this section. What I Disliked: Well, it wasn’t “Deliverance Dane.” The beginning didn’t pull me in as quickly as Howe’s first effort did. Once I put aside my “Deliverance Dane” measuring stick, I got more out of this book. Also, the presence of opium in this book made me extremely uncomfortable. Nonetheless, I DID like the resolution of the opium abuse. Lastly, I wanted to know more about Dovie, Harlan’s mysterious girlfriend. The House of Velvet and Glass | Escape Reality, Read Fiction! After reading her two previous books, I couldn’t wait to read Sara Addison Allen’s third – The Girl Who Chased the Moon. I requested the book from HCPL. Seventeen-year-old orphan Emily Benedict, travels to Mullaby, North Carolina. She moves in with her maternal grandfather, gentle giant Vance. Grandpa Vance does not talk much of the late Dulcie, Emily’s mother. Soon, Emily finds many folks in Mullaby hold a grudge against Dulcie. However, Emily discovers friends as well. One of these is Julia Winterson, a woman paying back her late father’s debt and once a girl Dulcie bullied. Julia bakes delicious cakes at her dad’s old BBQ restaurant. There’s Win, a boy just about Emily’s age who hasn’t inherited his family’s grudge against Dulcie. Then, there’s this amazing light show at night. I liked The Girl Who Chased the Moon almost as much as Garden Spells and more than The Sugar Queen. The characters are more my speed – especially Julia. Maybe it’s the cakes. I enjoy Garden Spells so much that I checked out Sarah Addison Allen’s second novel, The Sugar Queen from HCPL. I looked forward to returning the enchanted world of Allen’s North Carolina. Josey Cirrini leads a predictable life in ski resort town Bald Slope, North Carolina. The twenty-seven year olds lives with her mother, the quintessential Southern Belle, whom Josey serves hand and foot. She loves winter and enjoys her stockpile of candy and romance novels in her closet. This all changes when Josey finds local waitress Della Lee Baker living in her closet. What should Josey do? While I didn’t adore The Sugar Queen the way I did Allen’s Garden Spells, I liked this book. Characters from the warm Josey and Chloe to the chilly Margaret Cirrini are of the slice of life variety. I wasn’t terribly crazy about the mystery of Jake’s one night stand. Still, I appreciated that Allen didn’t tie all loose ends neatly – making this an authentic novel about everyday life with a dash of magic. I eventually picked up The Feast of the Goat for a few reasons – my latent interest in turbulent Dominican history, the book’s listing as a “Core” 1001 Books Book, and writer Vargas Llosa’s recent status as a Nobel Prize Laureate. Ironically, I finished the book around the fiftieth anniversary of Rafael Leónidas Trujillo Molina’s assassination. So, I pulled this book off one of HCPL’s shelves. Vargas Llosa offers three distinctly different storylines throughout the book – the fictitious Urania Cabral in the 1990s, Trujillo’s assassins, and then Trujillo/El Jefe/The Goat. on his last day – 30 May 1961. The author alternates between these three points of view. Storyline 1 – In the 1990s, successful attorney Urania returns to her native Dominican Republic for the first time in years. She visits her invalid father, the once powerful Secretary of State Agustin Cabral. Agustin fell out of favor El Jefe. Urania angrily recalls her last days in the DR with Agustin. Later, Urania relates her nightmarish coming of age to her aunt and cousins. The Cabral family was created by Vargas Llosa. Storyline 2 – the assassins lie in wait on 30 May 1961 for Trujillo. These real-life killers are Antonio Imbert Barrera, Antonio de la Maza, Salvador Estrella Sadhalá – “Turk,” and Amado García Guerrero – Amadito. Each one bears the scars for want The Goat dead. Vargas Llosa based his characters on actual people. Storyline 3 – Trujillo lives out his last day. El Jefe reminisces about his despotic career, his family, tough relations on the world stage, and his regular deflowering of young girls. Vargas Llosa took an actual dictator and made him even more villainous. Vargas Llosa recreates the last days of the Trujillo Regime quite vividly. The feelings of desperation, hopelessness, and machismo pervade. The truest rendering of characters were the ones the author made up – the Cabrals. I found the “real people” rather suspect. I’m happy I read this book because I could see connections to the writings of both Junot Díaz and Julia Alvarez. I wonder if Díaz used the name Cabral as a tribute to The Feast of the Goat. However, I found some parts – especially those from The Goat’s point of view, tedious and disgusting. I felt a need to wash out my eyes or something. Also, I liked that Urania found some peace in sharing her experience with the women of her family. I admit – I approach Alice Hoffman with trepidation. My freshman English teacher assigned us the task of reading At Risk, a story of a young gymnast who contracts AIDS from a blood transfusion. After finishing, I cried and cried. Twelve years later, I read Blue Diary as one of her characters bore the name Jorie (like me). Okay, so she doesn’t write the happiest literature. Yet, numerous colleagues and friends encouraged me to read Practical Magic. It pleases me that I managed to read this book without copious tear shed. When their parents die in a fire, sisters Sally and Gillian Owens come to live with their eccentric aunts in a 200-year old house built by their ancestress, Maria Owens. Their aunts are witches and help many “upstanding women” by casting spells on the sly. Sally and Gillian grow up without rules but virtual outcasts. Gillian elopes, heading west of the Mississippi while Sally falls in love with a local guy, Michael, marries, and has two daughters – Antonia and Kylie. Michael dies and Sally blames the family heritage – witchcraft. Sally and her young girls move to New York. Ultimately, Gillian nor Sally can outrun their roots and must admit who they are and what they can do. While bittersweet at times, Practical Magic is my favorite Alice Hoffman work. Hoffman created clear, likable, and relatable characters in Sally and Gillian. Her vivid settings acted as characters as well. My favorite part came towards the end and involves Aunt Frances and Aunt Jet and the girl next door. 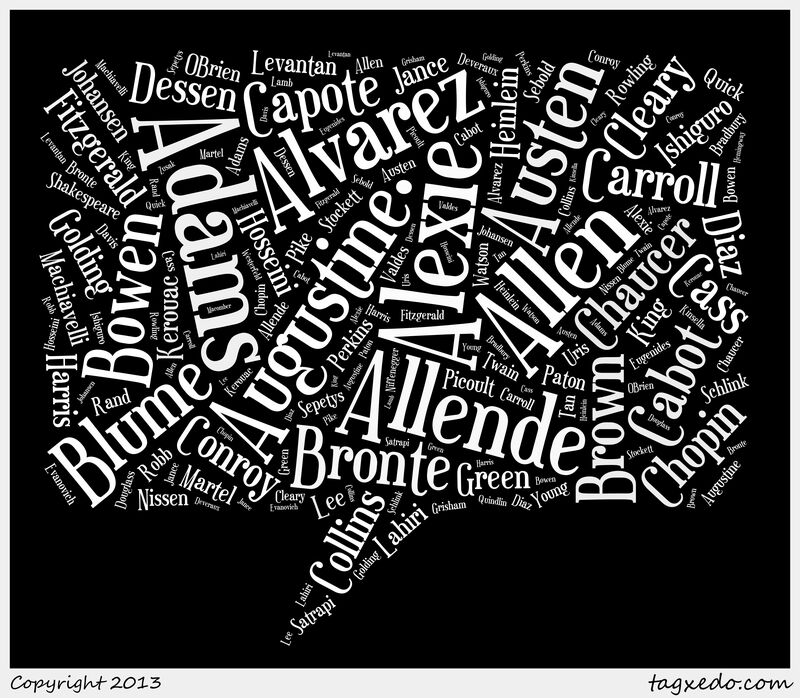 Each week we will post a new Top Ten list complete with one of our bloggers’ answers. Everyone is welcome to join. 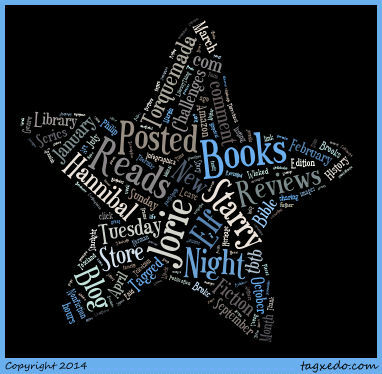 All we ask is that you link back to The Broke and the Bookish on your own Top Ten Tuesday post AND post a comment on our post with a link to your Top Ten Tuesday post to share with us and all those who are participating. 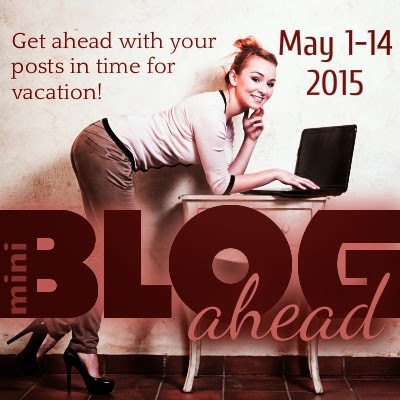 If you don’t have a blog, just post your answers as a comment. If you can’t come up with ten, don’t worry about it—post as many as you can! NEXT WEEK THE TOPIC IS: Top Ten Characters I’d Name My Children After. 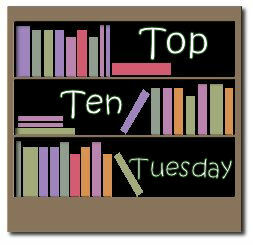 Click HERE for a list of future Top Ten Tuesday topics. * Since I’m suffering from severe congestion at the moment, I’m only listing my picks. Please ask why I chose them and I’ll explain when I’m feeling better.